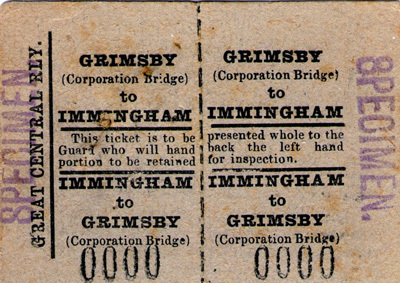 Grimsby & Immingham Electric Railway Tickets. 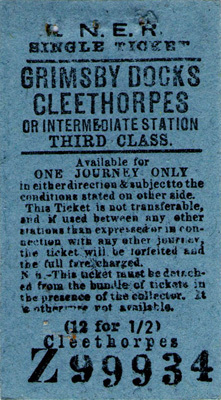 returning the left to the passenger. 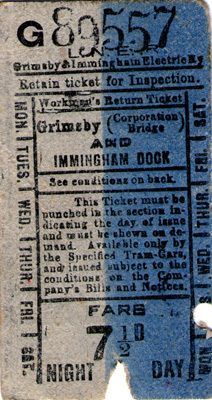 Left: A cheap day return for the full route to either Immingham dock or town - only for use after 0745. 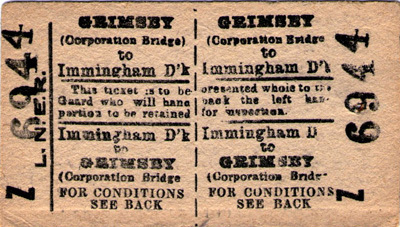 Right: A Workmans ticket for the full route to Immingham dock. 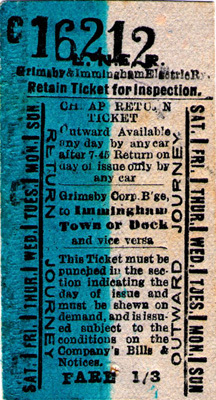 Left: A local ticket for the road section on Gilbey Rd/Corporation Rd Grimsby. 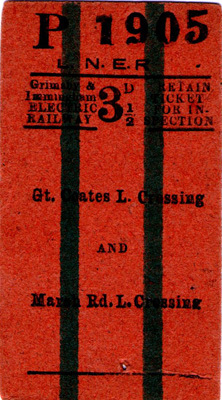 Right: A bright ticket for the "country" section from Great Coates crossing to Main Rd crossing. 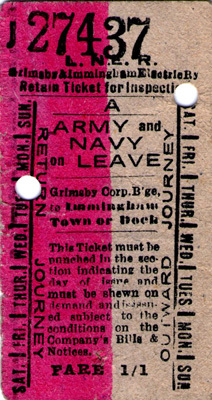 Right: A colourful Army/Navy leave ticket for the full route. 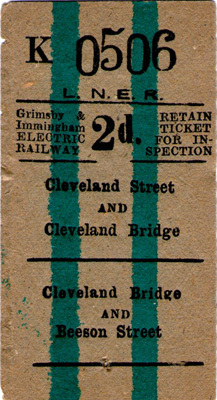 Right: A Bell Punch ticket for travel from Hull to East Halton (closed 1963) by Humber Ferry and rail.